Unusual and very pretty ! 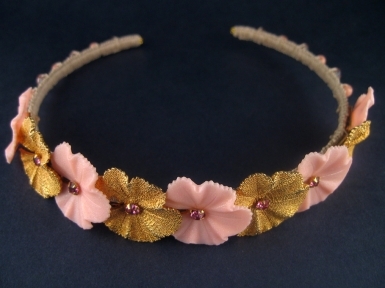 Vintage pink and goldtone flowers handwoven onto a linen tiara style headband. Comes beautifully presented in a black and gold embossed fur-lined (faux of course!)box. FREE POSTAGE ON THIS ITEM !